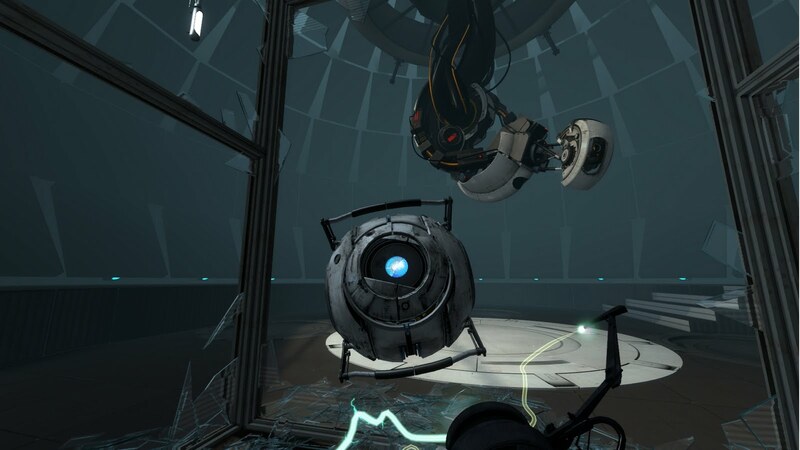 Portal 2 is finally here, and is probably one of the most anticipated sequels in a long time. Continuing the story of Chell, the protagonist from the original game, it sees you back in the Aperture Science Labs after your "escape". Dragged back in from the parking lot, you awake after hundreds of years in a cryogenic slumber, in a homely chamber. Soon enough you will meet the first of the new characters, the hilarious personality sphere, Wheatley. And so the game starts. Wheatley wants you to escape. He sacrifices a lot to get you to the escape pod, but unfortunately this is where it all goes wrong, and gets awesome. If you loved the original Portal, this game is perfect. It is twice the size, thrice the fun and even more mind-blowing. Characters are deep, with emotions, motives and backstories, and are all hilarious in different ways. 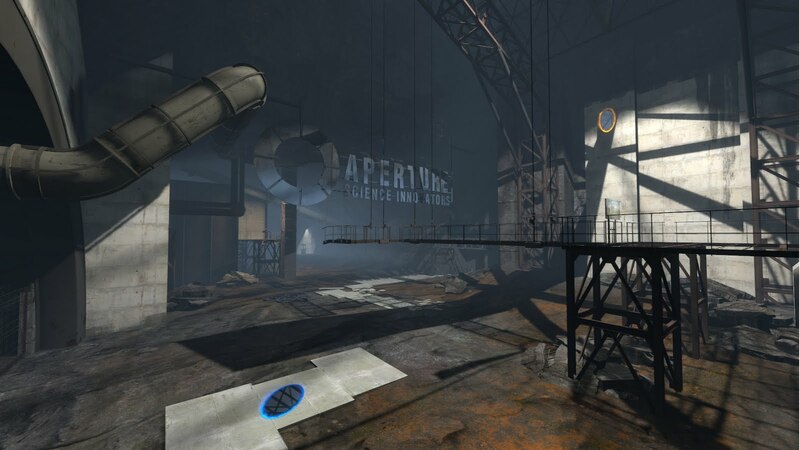 Aperture Science has evolved a lot since the original game, and has some awesome new gameplay mechanics. The most fun of these, which really shakes up the gameplay are the gels. Spraying one of the gels onto a surface completely changes it's properties, and playing around with them is really fun. Also new to the franchise are lasers, redirection cubes and tractor beams. You must use them all in a variety of ways to progress through the game, which spans the highest and lowest points of Aperture, the old and the new. And this is what makes Portal 2 so great. You learn about Aperture, the history, the people behind the madness and the people that influenced the Aperture of the present. You see changes in characters, you see reasons for questionable decisions and you can tell that Portal 2 was created with genuine affection from the team at Valve. It isn't a money grabbing sequel, not by any means. It is a beautiful, hilarious and at times, fiendishly difficult adventure. So the single player story is great, but what about the cooperative? Having two portal guns, operated by two people, doubles the amount of portals and insanity, and certainly bumps up the difficulty. The thing is, you definitely need a friend for this. As with any multiplayer game, playing with friends makes it instantly more enjoyable, but with Portal 2 it's also about the practicality. Playing with a stranger means there are extra barriers and communication can often break down. So definitely play with a friend. Talk, plan, laugh, that's all there is to it. And it certainly will give you some laughs. The two robot characters, P-Body and Atlas are genuinely hilarious. They don't talk, but they don't need to. Their actions say so much more than any dialogue could. They tease GLaDOS, they giggle and play, and it's easy to become attached to the little guys. The puzzles are definitely more difficult in cooperative, as obviously more can be done with the extra two portals. For example, in single player, you could turn one light bridge into two, by using portals. With a friend, you can make it four. It is hectic, confusing but ultimately insanely fun. Portal 2 is as perfect as it could have been, and it was always going to be. Valve have a habit of making amazing games. Portal 2 has the affection, hilarity and storytelling perfection to make it Valve's greatest accomplishment yet.